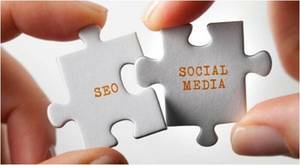 In the past, social media and SEO (Search Engine Optimisation) were two very different, very separate things. Social media was a way to write funny and annoying statuses, SEO was a way to make search engines like you. Nowadays, however, social media and SEO are well and truly joined at the hip. Everything is pointing towards the coupling of social media and SEO, but if you aren't too sure on how to go about integrating your campaigns, you could find yourself lagging behind still. This is the case for a lot of SEO professionals that are only just jumping on the social media bandwagon. The integrated first began when Google set up its very own social media platform, Google Plus, way back when. This might be old news to some of you, especially if you have already decided to discount it as a "bad" social media site. Google is the most powerful search engine out there though, so what Google wants, Google gets. - Friends that like "The Beatles". - Friends that like "The Beatles" and visited London in 2009. - Friends that like "The Beatles", visited London in 2009 and have cats. Yes, it really is that specific. And, if it can't find what you're looking for (because you have no friends that listen to "Hey Jude" on repeat, love London an cats), then it will produce a plethora of Bing search results that are closely related. No matter what you Google nowadays, you can almost guarantee that a number of YouTube videos will pop up, or even some Facebook profiles or Twitter pages. Before you integrate, you need to be fully aware of how social media works. Ensure your social media presence is active and that you have profiles on all of the top social media platforms. If you don't know how to do this, employ someone that does. You can transform fans into shoppers and vice versa by making sure you have social media buttons on your website. Make them big and bold, and consistently link to your site from your social profiles. Good content is the perfect viral tool, but only if it's easy to find. Again, social share buttons need to appear on your pages. That means on every single page, not just the main page. Of course, keywords are always involved when it comes to SEO. If you want to create a super piece of content for your social media though, you'll need to ensure it's about what people are interested in. Dive into your analytics or run a keyword campaign to find out; then write your content. Remember calls to action? Well, they're more important than ever now. If you want people to share your content or like your page, tell them to! Something as simple as "like this post if you loved it!" or "what did you think of this post?" will suffice. About The Author: Lauren Belfield, 26, is a graduate from the University of Manchester who now works as a freelance writer specialising in Search Engine Optimisation. Lauren does lots of work currently for the well-known SEO Agency in Manchester, Lakestar Mccann. Did you find this article helpful? Please let Lauren and myself know by leaving us your valued comments. Until my next post on Wednesday on managing duplicate content and usability issues of an E-Commerce website, have a great week ahead! The Google Penguin update last year has, one assumes, had the desired effect - it has got the SEO community running for the hills, abandoning black hat tactics in droves, and heading for the safety of the white hat content marketing fold. Some have even announced the "death of link building" (though I think it is slightly wide of the mark). Spamming and over optimisation of anchor text. 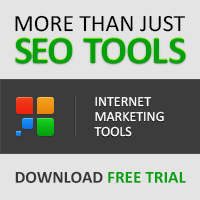 Pretty much any link building tool that generates links automatically. For broadly white hat SEO's like me, the Panda/Penguin hit over the last couple of years has been welcomed - I welcome anything that will significantly improve the relevance and quality of my search experience. Whereas many SEO's tend to panic when the Google updates come out, thinking "are my sites next??" my view is, great, get rid of the bad guys - it means a level playing field for us good guys. Despite the algo changes, I do see white hat link building as broadly ethical, promotional tool, does have a future, in my opinion. I saw a SEOmoz Whiteboard Friday today, called "The Death of Link Building and the Rebirth of Link Earning." Rand's general point is that with the Penguin update, and the movement of the industry as a whole, the days of going out and manually building or placing links are limited. The best links, he says, are earned; this has always been true, the trouble is, earning these great links and citations to effect page one rankings for your clients is really hard. So it's clear that, broadly speaking, link earning, rather than link building is the future of the industry. Now begins the hard work - convincing our clients to invest in content! About The Author: Centreline Air are a leading private air charter firm in the South West UK. Visit http://www.centrelineair.co.uk/ to find out more. Until my next post on Monday on integrating your SEO and social campaigns, have a relaxing and fun-filled weekend! 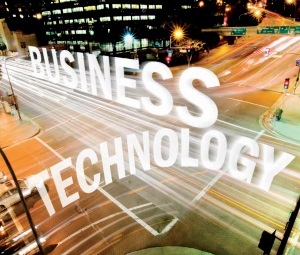 What Should Large Businesses' Technology Strategy Include? Technology has a role to play in the operation of every business. For large businesses, however, it can be central to everything and perform a major supporting role. This is true whichever way you look at it; servers for maintaining data and systems, powerful communications channels for both internal and external means, and the hardware that employees of a business use. How a large business approaches technology can affect everything that happens "in house," from the level of morale and productivity of the team to expenditure and bottom line profitability. What should the technology strategy of a large business look like and include? Whenever a part of a business is "in transition," it can be difficult to get excited about anything that happens within it. However, the reality of technology is that, by its very nature, you're always going to be in transition in this respect. The reason for this is that in an ideal world you will always be looking for ways to innovate and take your technology forward. However, the trick for large businesses is to ensure that the majority of their employees can continue using the platforms that are already in place, while a specialist team of IT-professionals and developers focus on research or coming up with a new idea. If a business can achieve this, the natural evolution of their technology will be effortless. Today, the demands on a business when it comes to being environmentally friendly are bigger than ever before. If a company isn't green, then at best they can expect to get some negative publicity. Businesses should be doing all they can to ensure they are as green as possible when it comes to technology. How they go about this is up to them; some are choosing to use cloud technology to a greater extent to minimize the energy they use from a physical data centre, while others are embracing green technology to the fullest extent, using energy monitors, solar panelling, and other initiatives. One aspect that holds back even the biggest businesses is that they operate in a kind of "need to know" bubble when it comes to technology. While this is perhaps not necessarily an issue at ground level in more junior positions - there may be advanced programs that are relevant to those higher up in the company - it is definitely something that should be looked at from the top down. Many businesses exist where senior executives have no clue around the systems and technology being used by those at various levels in the company. Of course, these executives will look at their output in terms of finances and what they add to the business; is it really fair to do this without a real knowledge of how they work? At the same time, the role of technology in the world is increasing all of the time, so there should be a real commitment to training and continued development at all levels. Without this, a company will stagnate, and it is likely that other areas will suffer as a result, such as the morale and productivity we alluded to earlier. A technology strategy with clear objectives that benefit everyone in the business is important for a large company to make the most of what they're using; without one, they are making life difficult for themselves unnecessarily. This article is written by Jaguar PC, providers of managed VPS hosting with 24/7 professional support and daily backups. Until my next post on Friday discussing whether link building has become obsolete, enjoy the rest of the week! HTML 4.01 has been in use for almost 10 years now, until recently when HTML5 morphed out of it as the new standard for website content and functionality, and it continues to evolve ever since then. Latest web browsers like Safari, Chrome, IE and Firefox have adapted well to this latest web standard and continue to make their latest versions adapt to its features. HTML5 has a number of elements that help online marketers to carry out effective SEO by way of its technical enhancements and improved features. It is however important for them to understand in detail, why does HTML5 matter for their SEO efforts. HTML5 has new elements to offer that enable a better structure of the site viz. header tags, article tags and nav tags. You can make search engines understand and index simple content such as ratings/reviews, company events, people and products by using Geolocation Microdata. SEO benefits: The cleaner code enables webpages to be efficiently searched and indexed. Also, the download time for webpages decreases significantly. Google identifies and presents the information in a better manner by virtue of the rich snippets generated by webmasters with the help Microdata. HTML5 brings along a new standard for multimedia content without the need for a plugin by a third party vendor. For instance, playing audio or video on a webpage had no set standard practice until HTML5 came into being. Generally, third party plugins such as flash are required to play audio and video files, however same plugins are not shared by all browsers. By using HTML5, you can directly build videos into browsers that support it and enable fast video downloads. SEO benefits: Search engines better index and search HTML5 videos. Videos are ultra-fast and are browser based. Also, slower internet connections can have a better browsing experience without video buffering since the downloading and playing both take place in HTML5. The independence from a third party vendor's plugin makes HTML5 more companionable with mobile gadgets which classically have restricted memory resources. The benefit of this video element for SEO is due to the fact that you can do away with much coding in order to be able to set in the video. Also, the video tag enables a search engine crawler to be more discerning as to what is this code for. This is a new pixel based graphic area that enables drawing charts, graphics and graphic visuals on a webpage. SEO benefits: It provides greater stability as compared to a plugin since the browser includes the Canvas. SEO benefits: You can leave the website's performance unaffected even after storing large amounts of data. The forms have been equipped with more variety and functionality viz. date, time, URL, email, calendar, search etc. SEO benefits: These new form options provide better design and functionality on mobile devices. SEO benefits: Web Workers give a greater flexibility to the developer in separating the content from code intended for processing tasks. The above mentioned features of HTML5 and the SEO benefits that they bring along bear enough testimony to the fact that HTML5 is the new standard in markup for presenting webpages. About The Author: Jason Smith is an online manager for a company who provides social security disability help. Jason likes blogging about online strategies that are related to SEO, Content, PPC and Lead generation. Did you find this article helpful? Please let Jason and myself know by leaving us your valued comments. Until my next post on Wednesday, have a wonderful and relaxing weekend! Guest posting is a great way to build relevant inbound links to your website which contributes to about 80% of what you can do to improve your SEO rankings. It is important to mention that on-page SEO is about 20% of what you can do to rank your site organically. Guest posting in some cases is also referred to as guest blogging. It is one of the best ways to build authority to your site. 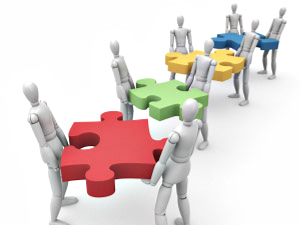 However, identifying the best guest posting opportunities for link development strategy is the most difficult part. You can build credibility around your site by guest posting or guest blogging on the most credible locations or guest blogging sites. When you are starting a site from scratch, it is rare to get an audience. However, you shouldn't find this a problem anymore if you use the following best strategies to find the best guest posting or guest blogging opportunities. This is one of the quickest and most intuitive ways to finding relevant guest posting opportunities related to your website's niche. It is for this reason that you should make Google and other big search engines your great friends. Once you find the relevant guest blogging locations you are looking for, it is very vital that you check if they have a well-established guest post system. You can do this by checking if they've ever accepted guest posts in the recent past. Ignore guest blogging sites that lack the history of accepting guest posts. You can also check out the advanced Google blog search bar if you can't find the best guest posting location using the traditional Google search bar. This is quite simple because it involves searching for your primary keywords with quotations like "write for us", "submit guest post" and "submit an article" etc. Once you have exhausted all the advanced search engine queries mentioned earlier, social media can be your best option to turn to. It mainly involves looking for friends on social media sites like Facebook and Twitter who have guest blogging sites relevant to your site's niche. For instance, you can do this by typing and scanning for the keyword on twitter directories like Twellow and Wefollow. This gives you a pretty good list of people who have guest posting sites you can actually put your guest post. Leveraging with social media is the only way to find influencers around a specific topic relevant to your niche. This is one of the best strategies you can use to find the best guest posting opportunities used by your competitors. However, majority of people are not willing to fully exploit this strategy. Check on your competitor's backlinks with SEO tools and sites like Majestic SEO, Open Site Explorer or backlinkwatch.org. 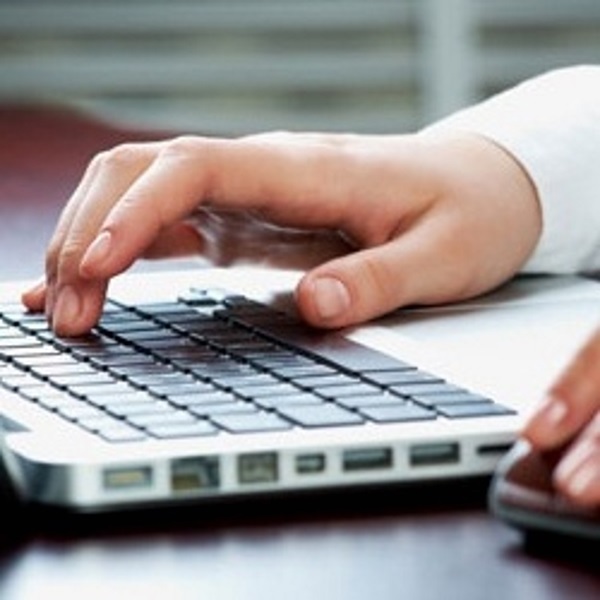 This mainly entails analysis of successful guest posting opportunities used by your competitors. Spying on your competitors is indeed a great strategy to gain additional backlinks with a little effort. Blogging is the most raging activity online these days. Quite a large number of blogs offer free guest posting opportunities even if you don't have to advertise them. If you can tap into existing blog directories then, make an inquiry with some blogs regardless of whether they advertise or not. If you want to concentrate solely on your website's niche then, look for specific blog directories using search engines like Google. You can leverage on your previous guest posts by using them as a billboard to advertise your inbound links. Also, mention your availability for guest opportunities by interacting with your commenters. Interacting with your commenters can create an opportunity for you to rub shoulders with the followers who have blogging sites relevant to your niche. This is one big opportunity to grow your audience and a network. The bottom line is: even if you have worked with a blog in the past, take the entire guest post opportunities you can get. This is one rare strategy employed by a few website owners seeking guest posts on other blogging sites. You should put into consideration the fact that one of your visitors could be a blogging website owner who is willing to let you guest post on their sites. Bloggers are always looking for quality content to add to their blogging sites, your guest post might be one of them. 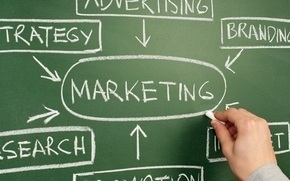 About The Author: Jason Smith is an online manager for an Inbound Marketing Company. Jason likes blogging about online strategies that are related to SEO, Content, PPC and Lead generation. 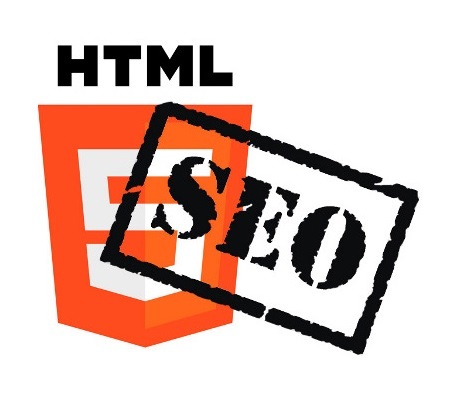 Until my next post on Friday on how HTML5 can help with SEO, enjoy the rest of the week! Until my next post on Wednesday with strategies for finding guest posting opportunities, have a great and productive week ahead! 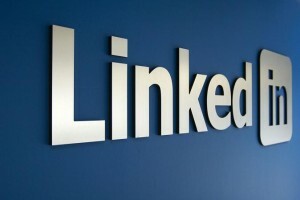 It is now a well-known fact that LinkedIn is the Facebook of business community. It has become a very common practice amongst businesses to look into the LinkedIn accounts for business related or professional information on any company or individual. So, you must be careful about what you post on your LinkedIn page and the image that you portray there. Here are a few tips that will help you in creating the buzz and getting noticed. "Company buzz" feature of LinkedIn allows you to keep track of what others are saying about your company across social media platforms. This is very important as the image you have on social media platforms can be a big factor in driving your business. 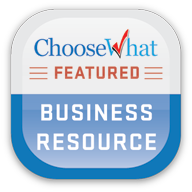 Visit the "company buzz" application page on LinkedIn and you will get the instructions on how to add and use the application. Make sure you go through this thoroughly to get an idea of how to maximize its usage. There are a few words that are called as buzzwords in the LinkedIn circle. Essentially, buzzwords are the terms that grab attention of casual browsers. For example, some of the buzzwords are organizational, creative, dynamic, innovative, etc. When a viewer looks at these words, he/she will get an impression of sophistication and professionalism. Also, while people are searching for companies, they use these terms as keywords. So, your company profile has a greater chance of popping up in the results if you use these words. At the same time, make sure that you don't overuse these terms. Over usage of buzzwords will give an impression that you are trying too hard to get noticed, something you must avoid at all costs. If your company has a twitter account and a blog, make sure that you share those links on LinkedIn. There is a feature on the site that allows you to automatically link your social media feeds and blog feeds on your company's page. By doing this, you don't have to worry about posting the same thing on LinkedIn again. The type of employees that your company has projects a relevant image of your company. For example, if you have a team that is experienced and well qualified, your company's image will receive a boost. The trick here is to make clever use of the profiles to boost the reputation of your company and create a buzz. This is within ethical realms and permissible. Don't expect people to start connecting with you right away. You must be proactive in building a network. Send out invites to people and start a network. Once you have done that, others will also want to stay connected to your profile. Join some groups and comment actively on posts. That will help you in creating an image for your company and get noticed. About The Author: Grace Beckett is a Content Strategist and Senior Writer with Godot Media - a Content Marketing Firm. She works with small and mid-sized businesses, helping them create a solid Internet footprint. 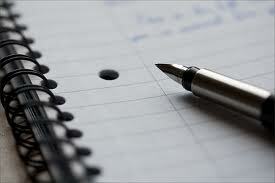 She has also helped many online businesses develop a blog writing strategy. Her other interests, besides internet and content marketing, are fashion and technology. Did you find this article helpful? Please let Grace and myself know by leaving us your valued comments. Until my next post on Monday with 10 internet marketing strategies for small business owners, have a fabulous weekend! When it comes to starting off a business venture, most people opt to start at a small scale and then moving on to bigger ventures once they have raised enough capital. According to most experts this is the right approach, as it requires minimal investment in terms of capital; both human and monetary. 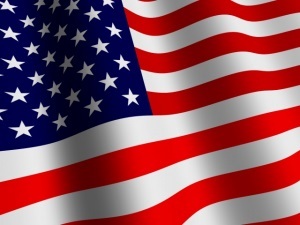 However, if you are wondering what type of business qualifies to be a small or medium business in the US, then you should know that there are varied views on this. Sometimes there are businesses which may have as little as 10 employees, and there may be businesses that may have over 500 employees and they still qualify as a small and medium business. The definition varies based on the industry, the ownership structure, revenue and also the number of employees. Of late several small and medium sized businesses have on the rise in the US. However, there is more to just the investment that is to be considered when you are looking for the reasons for this rise. This article aims to highlight the top 5 reasons for this rise. When you narrow down your focus you know what type of customers you want to attract and the type you do not want to attract. When catering to a niche it is extremely easy to identify what the market wants and you can easily build a reputation with your niche. Also, with a narrow focus you can offer the best customized products/services to your customers, which gives you a competitive edge over your competition. When it comes to a SMB it works more like a closely knit community. All customers want personalized attention when it comes to getting things done, this is something that most big businesses have to forego for greater profits. With SMBs you can create products/services that address highly personalized requests from customers. Doing so, the small and medium businesses get to know the ins and outs of the business. This not only creates further opportunities but also helps gain trust of the customers much quicker than in the case of a big business. When it comes to meeting clients requirement, there can be opportunities where the business may have to change its business model drastically to take advantage of several opportunities that are available in the market. This is something no big business owner will do and as a result letting go of the opportunity. With small businesses making these changes is not that difficult and this aligns them with the business opportunity. This flexibility allows most small businesses to be innovators in their field. The unwillingness or rigidity of big businesses is opportunity for small businesses. A small business can easily grow with a customer's needs. The turnover time for the small business time when it comes to providing personalized solution is drastically reduced if compared to a big business. The small business can offer partnership to its clients, churning out the best possible option for both the client and itself. When it comes to a big corporation, they usually come with a big solution that might require several changes, leading to increased costs. Through technological advancements, small business can easily manage activities like follow-ups, accounting, prospecting for a client without having to bear cost associated with overhead when it comes to departmentalization. Small and Medium businesses, look to outsource and leverage technology to its advantage, something most large organizations do not do. The advantages of an SMB definitely outweigh those for a big corporation. The market is always open for businesses that are willing to go beyond products and services, making the experience more personalized. An SMB can deliver something that has meaning and purpose attracting both internal and external audience without being answerable to investors in search of profits. About The Author: Matt Dyson is a blogger and a strategist who usually writes about current business trends and how businesses can get advantage from it. He also writes for US Media TV. Did you like this article? Please let Matt and myself know by leaving us your valued comments. Until my next post on Wednesday on Google prospecting tips for SEO's, have a great week ahead!